Manchester United trio David de Gea, Paul Pogba and Marcus Rashford have made it into the BBC Premier League team of the week. 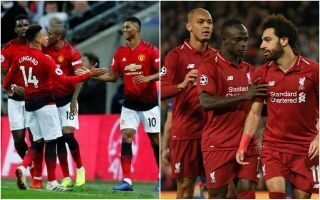 The Red Devils stars were among the stand-out performers in another superb result for Ole Gunnar Solskjaer as they won 1-0 away to Tottenham. You can see the full line up as selected by Garth Crooks below, which also contains Liverpool duo Mohamed Salah and Fabinho, both of whom were key in the 1-0 win at Brighton. Everton also fared well as Kurt Zouma and Ademola Lookman both got in, while Willian was the only Chelsea player to make the cut after his sublime winning goal against Newcastle in an otherwise unconvincing display from the Blues. There’s no one from Arsenal in this week as they fell to a surprise defeat to West Ham, with their match-winner Declan Rice claiming a place in midfield for his efforts against the Gunners. There were also places for Burnley defender James Tarkowski and Fulham winger Andre Schurrle, who scored one of the goals of the weekend.